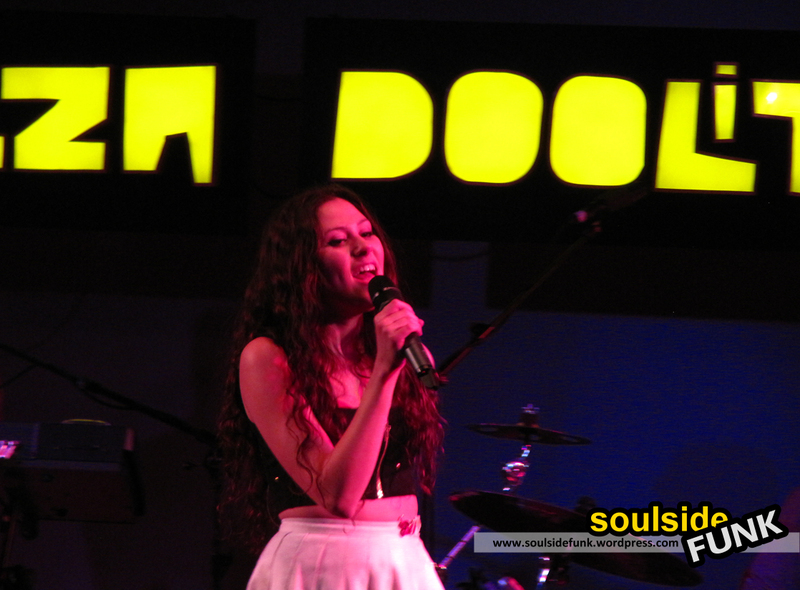 Eliza Doolittle put on a fun and ‘cheeky’ show on her return to London. 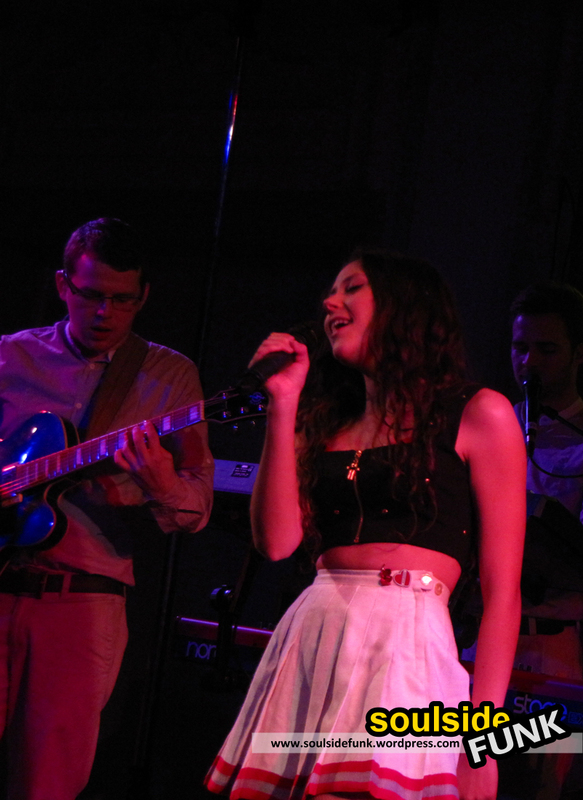 However, she was really let down by uncharacteristically poor sound within Bush Hall. The drum kit was far too loud, every time the drummer started up, all you could hear was the snare dominating and conquering all. You were left hard pushed to hear anything else. Adding to the woe, Eliza’s voice had far too much treble through the microphone, meaning her already high-pitched voice even more so which made it hard to pick out her words. It was like no one had bothered to do a soundcheck before the show… or the settings were lost at the last minute so they just made it up on the spot! It reminded me of a moment from Lousie Wener’s novel Goodnight Steve McQueen when in their last, career saving gig warming up for the main act they had perfect sound, while the main act had a terrible sound. Tinashe sounded awesome, I have no idea what happened in a venue with usually superior acoustics. 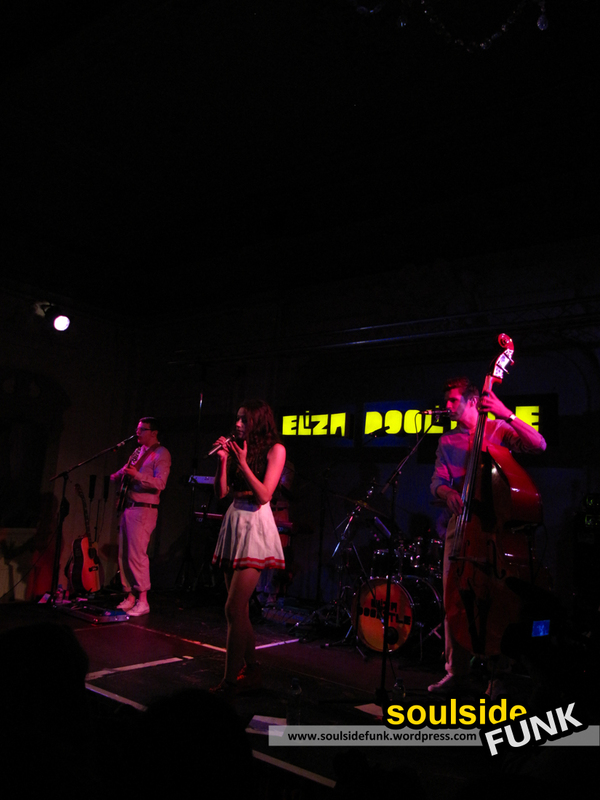 Despite all of the sound problems, Eliza still put on a lovely show singing all the favourites from her album. The band has expanded, but given the sound problems it was difficult to tell if this improved the show, but most importantly the Double-Bass stayed! A cover of Cee-Lo’s “F**k You”, may have taken a few people by surprise. A first she sung “forget you…” then she plucked up the courage to almost whisper the next sheepishly as “f**k you…”…by the end of the song she was swearing like a kid after just watching their first Tarantino movie and loving it – enjoying each expletive more and more as parents dashed to cover their kid’s ears – or more commonly swore along at the top of their lungs! It is that innocence in her music and stage presence which is so adorable. The marketing men have had their influence on her as she at times uncomfortably swoons, and flirtatiously pouts on stage. The main reason I liked the gig was because I love her music, and she has a down to earth personality to match… but even now, a few days later, I am frustrated… infuriated… by the poor acoustics which prevented a nice gig from being one of the highlights of my gigging calendar. 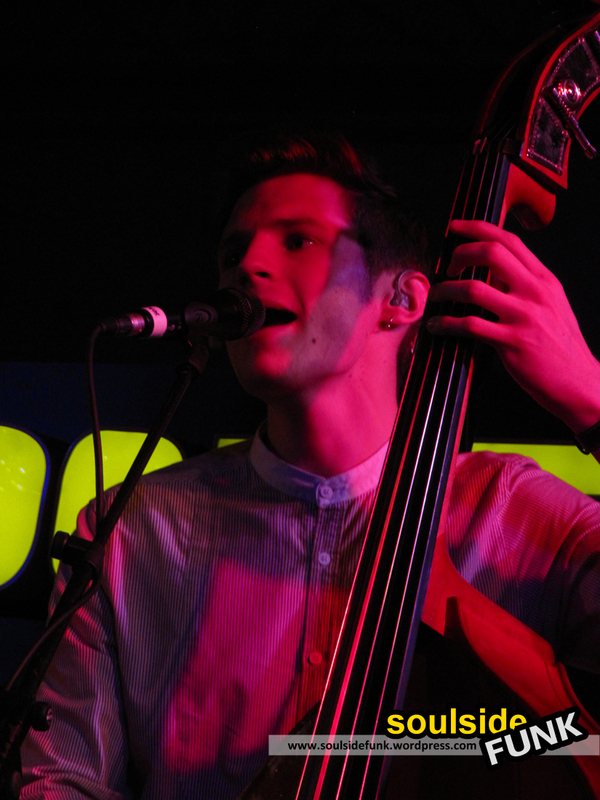 Posted in Gig Photos, Gig ReviewsTagged Bush Hall, Concert, double bass, Eliza Doolittle, Gig, Goodnight Steve McQueen, London, Louise Wener, Music, Pack Up, Photos, Pictures, rollerblades, TourBookmark the permalink.